At Jersey Water we aim to provide water which consistently meets all of the quality requirements laid down in law and regulation. The laws and regulations that are in place to regulate the quality of the water that we supply are extensive and meet European Union Directives on water quality. The Water (Jersey) Law 1972 includes physical, chemical and bacteriological parameters and limits for water to be deemed wholesome. In order for the Company to meet the necessary legal and regulatory standards on water quality it has in place strict policies and procedures to control the treatment process to ensure that the water supplied is of the highest standard. The quality of drinking water in Jersey is continually monitored. 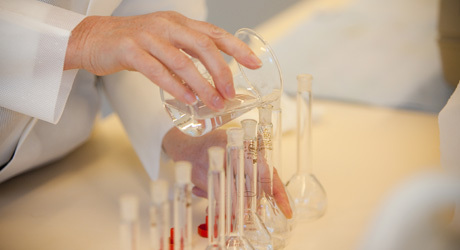 Our laboratory carries out tests on approximately 7,000 samples taken throughout the year from water sources, treatment works, storage reservoirs and customers’ taps. The tests are conducted at our water quality laboratory at Millbrook, in St Lawrence where the laboratory staff carry out physical, chemical and bacteriological analysis on the samples.